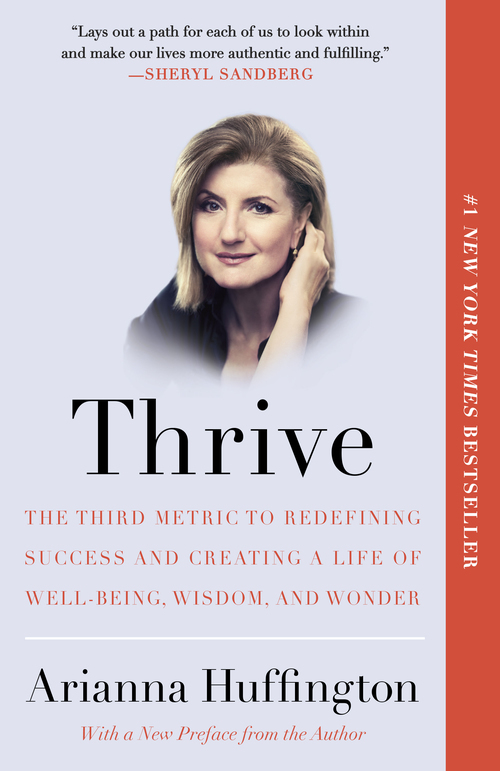 One of the books that I enjoyed reading in 2014 was Arianna Huffington’s “Thrive“. 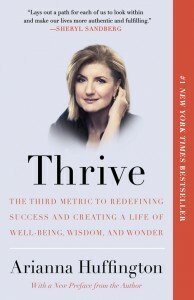 A refreshing book where she makes a compelling case of the need to redefine “what it means to be successful” in today’s world. A timely book in times where people are reassessing their past and current views (on money and power) while trying to define their meaning of life. This entry was posted in Books on December 26, 2014 by microfinance. 2011 …a busy year and one that went by so quickly… I managed to read a few books finally in the second week of December. Most fun and inspiring read was Steve Jobs by Walter Isaacson. The 570 page biography is a page turner and a must-read. The subject matter of course is fascinating, a genius, a powerful and intense individual with many contradictions that transformed 7 industries (personal computer, animated movies, music, phones, tablet computing, digital publishing, retail stores) with his passion and pursuit for making great products and making a great company that would last. And it is beautifully written. Another book which is a useful read for people interested in social entrepreneurship, the future of capitalism and how the silos are breaking between the business and the social world is Sir Richard Branson’s latest book “Screw Business as Usual” I enjoyed reading the second half as it iillustrates many examples of how some of the large global corporations/brands are starting to shift/experiment ways for “doing well and doing good”. I find it powerful that this call for change is coming from one of the world’s famous and admired business leaders. This entry was posted in Books on December 29, 2011 by microfinance. My favourite books this year may seem a bit biased geographically as all authors are living in California. I was very fortunate to have been able to attend the lectures of Chip Heath and Jennifer Aaker when I participated this summer in the Stanford GBS Executive Program in Social Entrepreneurship (EPSE). Both are remarkable lecturers and their books are fun, effective, full of amazing examples and inspiring. Switch is about how we can effect transformative changes by understanding the two competing systems; the rational mind and the emotional mind. The Dragonfly Effect is a how to guide on driving social change (by using social media). I picked up Lisa Gansky’s book, the Mesh, while attending SOCAP10 in autumn. The Mesh explains one of the “big ideas” or one of the most important trends that is shaping new businesses logic providing products and services through sharing. 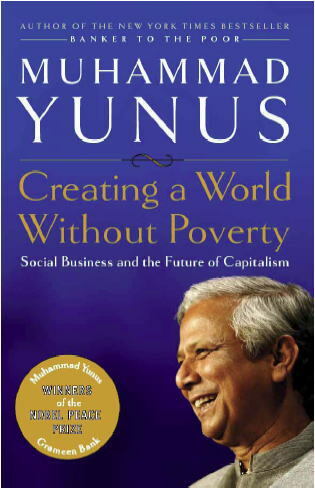 This entry was posted in Books, empowering people, innovative partnerships, social entrepreneurship, venture philanthropy on December 7, 2010 by microfinance. 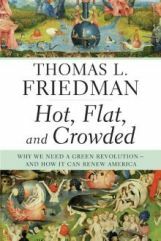 Hot, Flat and Crowded-Why the world needs a green revolution-and how we can renew our global future- by Thomas L. Friedman is an extremely educational and simultaneously an entertaining and engaging book. He takes a provocative look at two of the most serious challenges we face today: global environmental crisis and America’s loss of focus and purpose since 9/11. He explains where we stand now, how these two challenges are linked and proposes how we can restore the world and revive America at the same time. Friedman explains in relatively simple language the crisis we face due to the convergence of global warming (HOT), the explosive growth of the middle-class and the leveling playing field thanks to technology (FLAT) and the rapidly increasing population-forecasted by the UN to grow from the current 6.7bn to 9.2bn in 2050- (CROWDED). He advocates that it will soon be too late to fix things unless there is a global effort to replace our inefficient energy practices with a strategy for clean energy, energy efficiency and conservation- i.e. Green Revolution. A timely contribution that raises the awareness on the critical environmental issues and the urgency to act. Highly recommended. This entry was posted in Books, innovative partnerships, social entrepreneurship, venture philanthropy on January 1, 2009 by microfinance. Last week while I was in Japan I picked up a book written by Safia Minney, a pioneer in fashionable and ecological fair trade. The book seems to be only available in Japanese but there is plenty of information on the web on Safia and People Tree, the fair trade company/brand she founded in 1995. People Tree (PT)works with more than 60 fashion and handicraft producers in 16 countries including India, Bangladesh, Peru and Kenya providing design and technical assistance based on traditional skills. PT sells their products through catalogue, internet, and also through 400 shops around Japan and 100 in Europe. Safia is an inpiring social entrepreneur that has been recognized by various organizations including the Schwab Foundation of Social Entrepreneurship where she was selected in 2004 as one of the world’s “Outstanding Social Entrepreneurs”. She has not only raised consumer awareness of poverty alleviation, ecology and fair trade but also has built a business of fashionable and ecological fair traded goods. PT’s sales have surpassed 7.5 mn USD for 2006. Another remarkable social business, a win-win example. Her blog is highly recommended and there is also a YouTube clip where Safia’s presents People Tree in her own words, a presentation that she delivered in London in Sept 2008. This entry was posted in Books, empowering people, innovative partnerships, social entrepreneurship on October 17, 2008 by microfinance.